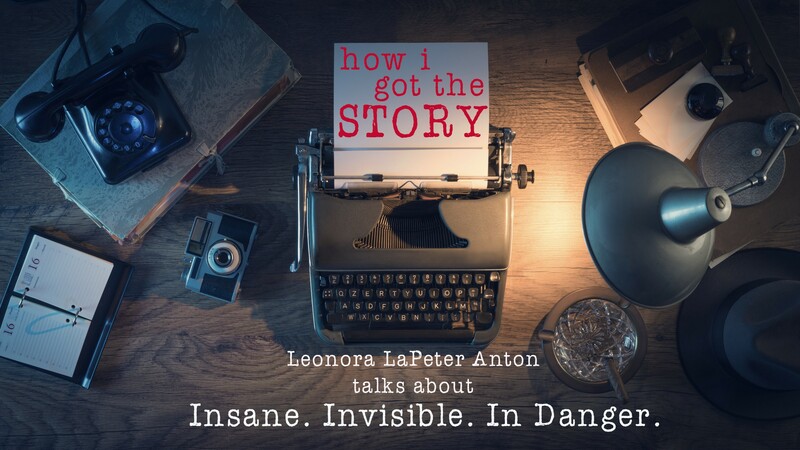 Journalist Leonora LaPeter Anton talks about how she and her team reported their award-winning article. There are two reasons why the Tampa Bay Times/Herald Tribune’s “Insane. Invisible. In Danger.” is a prime study in investigative journalism. While DCF [Department of Children and Families] says there were about 450 injuries or attacks over the past six years, the Times/Herald-Tribune found nearly 1,000. At North Florida Evaluation and Treatment Center outside Gainesville, administrators determined there were three incidents serious enough to be reported to DCF in the 2011–12 fiscal year. The Times/Herald-Tribune found 16 injuries and attacks during the same period…The newspapers found similar reporting discrepancies across the state. At Florida State Hospital’s forensic and civil units, administrators reported 16 violent incidents from July 2012 to June 2013. The newspapers found three times as many.During the 2013–14 fiscal year at Northeast Florida State Hospital, administrators reported seven incidents. The Times/Herald-Tribune found more than 40. Anthony Barsotti looks on the verge of death. His skin is ashen, his face gaunt. His mouth gapes as he stares at the ceiling, sporadically sucking in breaths. Three hours earlier, Anthony was a physically healthy 23-year-old living in the state’s care at a Gainesville mental hospital. Then he took a swing at another mental patient and a hospital orderly launched him head-first into a concrete wall. Workers at North Florida Evaluation and Treatment Center have a good chance to save his life this night in July 2010. Instead, as hospital security cameras roll, they make one mistake after another. When Anthony stumbles up with a cracked skull, they put a Band-Aid on his finger. When he clutches his head and howls in pain, they give him Tylenol. When he stops talking and his body goes limp, no one checks him for a concussion. It’s clear Anthony is in serious trouble. But for hours, no one calls 911. Journalist Leonora LaPeter Anton, who spent more than a year working on this piece with two other reporters, explained how the team was able to pull together both statistics and dramatic details involving the abuse. They culled reporters with different backgrounds. “Our investigative editor at the time, Chris Davis, had come from the Herald Tribune. While there, he had requested and gotten this giant database that had every court case from our state, and it also had all the ones involving people who were mentally ill. So he pulled together the Herald team and me. Before reporting, the team mastered the subject. “We learned about the whole mental health system, because it’s so complex and you can’t just go diving in not understanding it. So we started out doing whitepapers. We researched really basic things, like how it’s divided between criminal and civil, how much it costs, who’s in these mental hospitals. Each of us spent a lot of time nailing down what we needed to know and then writing it in the whitepapers for everybody else. I thought that was really crucial. When roadblocks arose, they went around them. To compare and analyze their data, they used a simple database. “We put all of our data from different places together into a database. Ultimately, our database covered 2009 to 2015. We had a thousand incidents of violence, and officials had 450 in that time period. So we were able to show that the legislature was unaware of half the violence that was taking place. And we also showed over the same time period, and this is key, they cut $100 million in funding. They found characters to drive the story. Once they found people to interview, they were delicate in their approach. They were persistent in talking with sources. “Anthony Barsotti’s story was a very difficult one to get. When I called his parents, the mother talked to me on the phone at first, then she blew me off. But I kept calling, and finally they agreed to have us come. Now, each time I interviewed this couple, it felt like I was ripping out their hearts. It would take them a couple days to recover after an interview, and that was really hard. But they really wanted to have something written about Anthony’s life and what he’d gone through in his mental hospital because they felt it was relevant. This persistence led to more fact finding. With government officials, they were pointed, but non-confrontational. They were extra diligent with facts. This is the first in an ongoing series of educational posts. If you enjoyed this, and would like to see more content like it in the future, help support The Contently Foundation by making a donation today.